Josephine Elizabeth Bojan was born on November 12, 1926 in Omaha, NE to John and Anna (Hyjek) Bojan. She married Edward Petru on May 16, 1947 in Omaha. They resided in Remer, MN until they moved back to Omaha a year later. They raised their family of six children in Omaha. Josephine and her husband moved to Dead Lake in 1973 to manage the FishnFun Resort which they owned and operated. Josephine enjoyed hosting the resort occupants and managing the housekeeping of the resort to see that it was up to her high standards. Josephine and her husband retired and sold their resort in the early 80’s. They then moved to a home on Sybil Lake near Vergas, MN. They enjoyed their retirement immensely fishing and entertaining until her husband Edward passed in 1991. Josephine then moved to Dent, MN to be closer to her grandchildren, to be the Hopi grandmother that she was. She very much enjoyed taking care of her great grandchildren, garden, and birds. Preceding Josephine in death was her husband Edward in 1991. Surviving Josephine are her children Ed of Dent (formally of California and Utah), Walt of Palmer, AK, Linda Schiller (Petru/Cizek) (Gerry) of Waubun, MN, Ray (Missy) of Omaha, NE, John (Brenda) of Perham, MN, and Leonard (Lisa) of Dent; her 20 grandchildren Tim Petru, Debbie Judd, Jenny McColm, Emily Davis, Eddy Petru, Amanda Schmitz, Benjamin Petru, Michael Cizek, Jeff Cizek, Paul Schiller, Katie Schiller, Scott Petru, Shawn Petru, Becky Jo Howell, Jeremiah Conner, Chrissy Petru, Alison Petru, Tiffany Menze, Michelle Petru and Josh Sazama; 42 great-grandchildren; five great-great-grandchildren; three great-great-great-grandchildren; numerous nieces and nephews; and her beloved family at Diamond Willow. 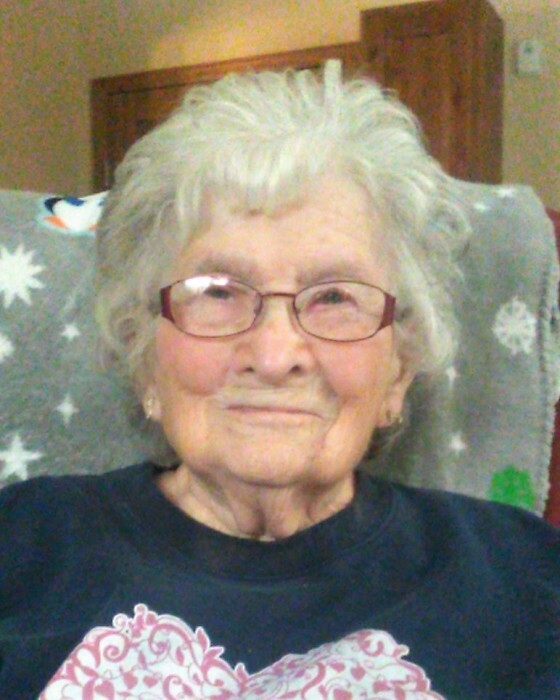 Josephine died Friday, November 9, 2018 at Diamond Willow Assisted Living in Detroit Lakes, MN. Visitation will be from 5:00-8:00 p.m. with parish prayers at 7:00 p.m. on Thursday, November 15 at Schoeneberger Funeral & Cremation Service, Perham, MN. Visitation will resume from 10:00 -11:00 a.m. followed by the funeral Mass at 11:00 a.m. on Friday, November 16 at Sacred Heart Catholic Church, in Dent. Burial will be in Pleasant Hill Cemetery near Dent.